Anyone who is observant in the garden has met the darling dung beetle. He’s the fascinating little dark gray guy who plays in a mound of dung… any sort will do. He works it as though it is an important assignment pushing this way and that. And when he has it ‘just so’ in a small ball, he stands on his head and begins to roll his creation using his hind legs to balance the whole thing as it rolls. Sometimes they work as a crew, with many little beetles hard at work. Unfortunately, this incredibly useful little beetle has met his demise through the use of Ivomec, a highly successful internal and external parasite control for cattle. 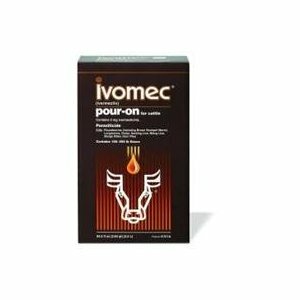 “Discovered and developed by scientists from Merck Research Laboratories, IVOMEC Pour-On contains ivermectin, a unique chemical entity“ (Their qoute) Yes indeed… and the poisoned parasites are excreted and the poor dung beetle, just doing his job, is poisoned as well. As we say farewell to yet another important life form living on our Planet, the dung beetle needs the recognition he deserves so perhaps reviewing his job is in order. These little beetles reside in pastures and clean the waste droppings by rolling them and burying them in tunnels six inches deep. The tunnels create greater water retention in the fields and improve root and soil aeration. Besides being fertilized, the pasture is clean which reduces the gastrointestinal parasite larvae which may be ingested by the cattle, excreted by the cattle then ingested again in an ongoing life cycle. By rapidly cleaning the pasture, dung beetles reduce the numbers of flies, whom we all know adore manure as a nesting site for their nasty youngsters, the maggots. I had noted the past few years, the pastures had begun look like cattle ghettos… as though the sanitation crews had abandoned them. Unfortunately the sanitation crews have been killed. The dung beetle is a true loss… to a degree of which only time can tell. I was very fond of them and spent a good part of my childhood and adulthood stopping to watch them work, enamored and fascinated by their duty and obligation. May our little beetles RIP… and may Merck be ashamed for not doing their homework!